LLEGA A CÁLIDO LA PRIMAVERA Y CON ELLA ESTA PROMOCIÓN IDEAL SI PIENSAS EN CAMBIAR ESAS CORTINAS QUE TANTO TE ABURREN. 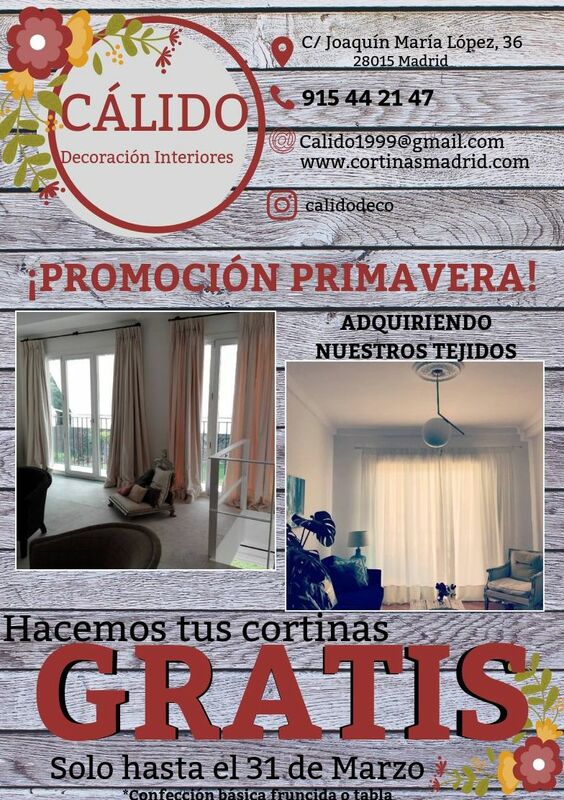 POR LA COMPRA DE NUESTROS TEJIDOS TE LLEVAS LA CONFECCIÓN BÁSICA DE TUS CORTINAS COMPLETAMENTE GRATUITA. TE ESPERAMOS HASTA EL DÍA 31 DE MARZO.